My mom, whom we lovingly call LuLu, was diagnosed with Alzheimer’s in 2008. We have been through quite the journey ever since. 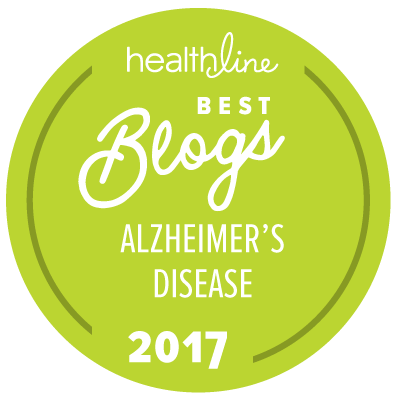 There have been challenging and scary times when we didn’t know what might lie ahead, and there have also been incredibly inspiring times, when we’ve been touched by others who readily jump in to help based on their own experiences with Alzheimer’s. When I heard about The Longest Day, a 16-hour Alzheimer’s Association event, I thought it was such a unique way to recognize the millions of people who face Alzheimer’s every hour of every day, and to raise money for such a great cause. I decided to sign up and ask a few family and friends to join if they could, but I fully expected to cover the majority of the day on my own given that it is on Friday and most people are working. I was so overwhelmed when the responses came back immediately. “I’m in!” —one person after another. Before I knew it, we had all 16 hours of the longest day of the year completely scheduled with activities in LuLu’s honor. I could hardly sleep last night—I was so excited for today to get here! Our team, “For the Love of LuLu,” passed a “virtual baton” across multiple states. My college roommate Jenny started us off at 5:30 a.m. (bless her heart) doing aerobics in Chicago. Then, my sister-in-law Terri walked her dogs in New Hampshire. Next, I walked my dogs in Aurora. LuLu LOVES dogs so we had several dog activities throughout the day! My nephews Tyler and Mike both fished (in separate states), my sister-in-law Sue knitted in Michigan, and more folks walked in Texas and Illinois—including my cousin Lynda who gave LuLu her nickname when we were children! My husband Tom and stepson Corey played/watched baseball, which is one of LuLu’s favorite sports since she supported all three of my brothers through their baseball years. Now, as the sun sets, we are hosting “The Longest Party” and serving several of LuLu’s famous dishes – cucumber sandwiches, deviled eggs and kolaczki cookies. As we reflect on the day, we are inspired by how many people have come together in Lulu’s honor. She is my hero, and I will continue to work to end Alzheimer’s until there is a day when no daughter has to watch her mother live with this disease. Diane Leeming is the youngest of five children. Diane, her husband Tom, her stepson Corey, and their two dogs live in the Chicagoland area. Diane works in Human Resources and is currently Senior Director of Organization Effectiveness for Kraft Foods Group. 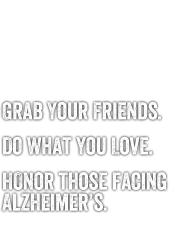 She and her family and friends are participating in the Alzheimer’s Association The Longest Day™ , a sunrise-to-sunset relay to raise awareness and funds for the fight against Alzheimer’s.